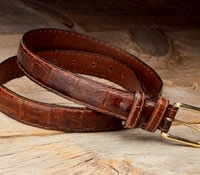 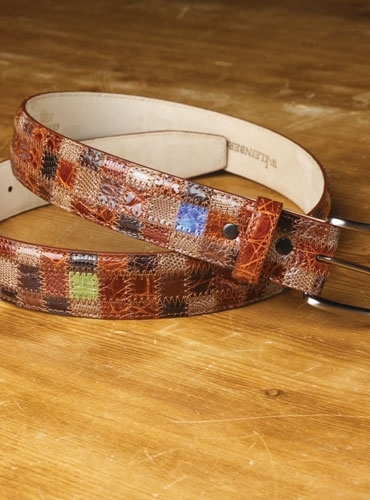 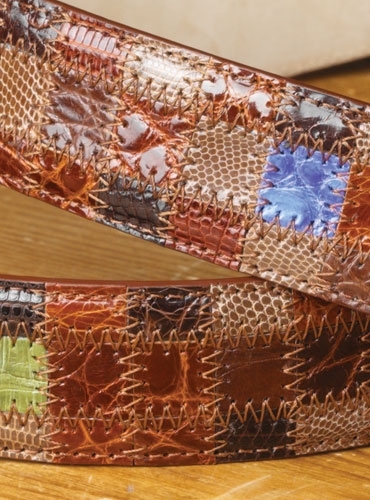 Our new exotic patchwork belt combines alligator and lizard skins with brown, cognac, yellow, green, and blue hues. 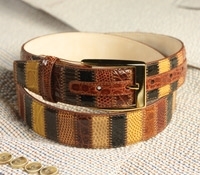 1 3/8" wide with nickel plated solid brass buckle. 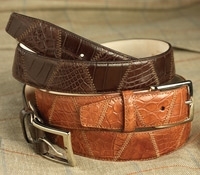 Sizes 32-44.